Welcome to the Critical Gentleman. Today we look at one of my favorite modern watches, the Omega Speedmaster “First Omega in Space.” This watch was released in 2012 to commemorate the 50th anniversary of American astronaut Wally Schirra’s 1962 spaceflight aboard the Mercury Atlas 8, and is styled after the Speedmaster reference 2998 he wore throughout the mission. While the FOIS is not a true clone of the 60s era original, vintage enthusiasts can appreciate the degree to which the watch respects Speedmaster heritage. Though the 2998 shipped with the venerable Omega caliber 321, this newer iteration sports the same movement as the modern Moonwatch: Omega caliber 1861. 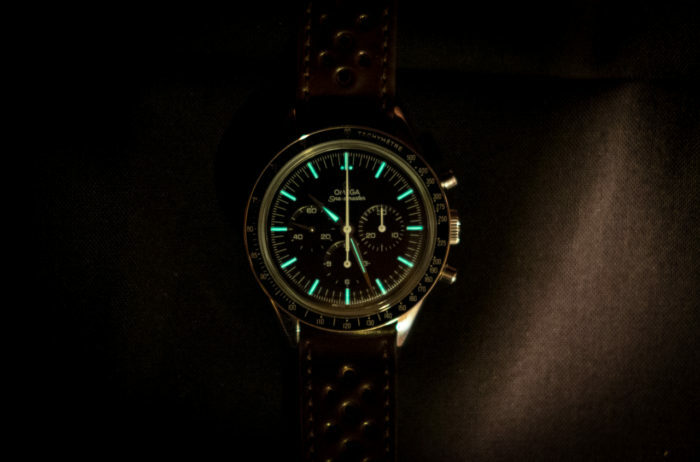 In keeping with modern Speedmasters, it is equipped with a DNN (dot next to ninety) bezel, as opposed to the DON (dot over ninety) bezel from the early years. The FOIS boasts a never-before-seen caseback design featuring a large hippocampus, texturing, and text in relief. Finally, it wears a domed sapphire crystal—a departure from the hesalite crystals found on many Speedmasters. What it does retain from the original 2998, however, is the 39.7mm straight lug case with 19mm lugs and no crown guards. Inside the case, it keeps the alpha-style minute and hour hands, as well as the stick chronograph seconds hand. The dial features an applied Omega logo, gloss finish, beveled minutes track, and Superluminova lume (no radium this time!). However, it departs from the original 2998 by including two baton hands for the chronograph subdials and one alpha hand for the running seconds subdial. On original 2998s these were usually all the same, either alpha or baton subdial hands. In both cases the subdial hands were white, whereas the FOIS alpha subdial hand is mirror polished steel. 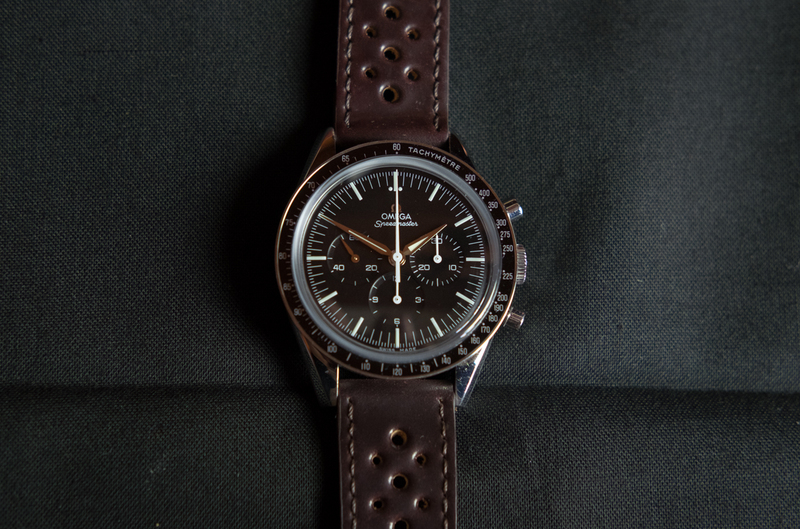 Overall, the First Omega in Space is an excellent iteration of a vintage classic. It departs just enough from the original as to bring something new and worthwhile to the table, but is respectful of its ancestry in terms of coloring, material, and styling. Subtle and elegant, it is the Speedmaster connoisseur’s watch. For a more complete comparison and list of differences between the FOIS and the Omega Speedmaster Professional (aka The Moonwatch), have a look at the video above.